April 9 and APril 22. Time slots are available 8-11am and 3-5:30 pm in 30 min intervals. 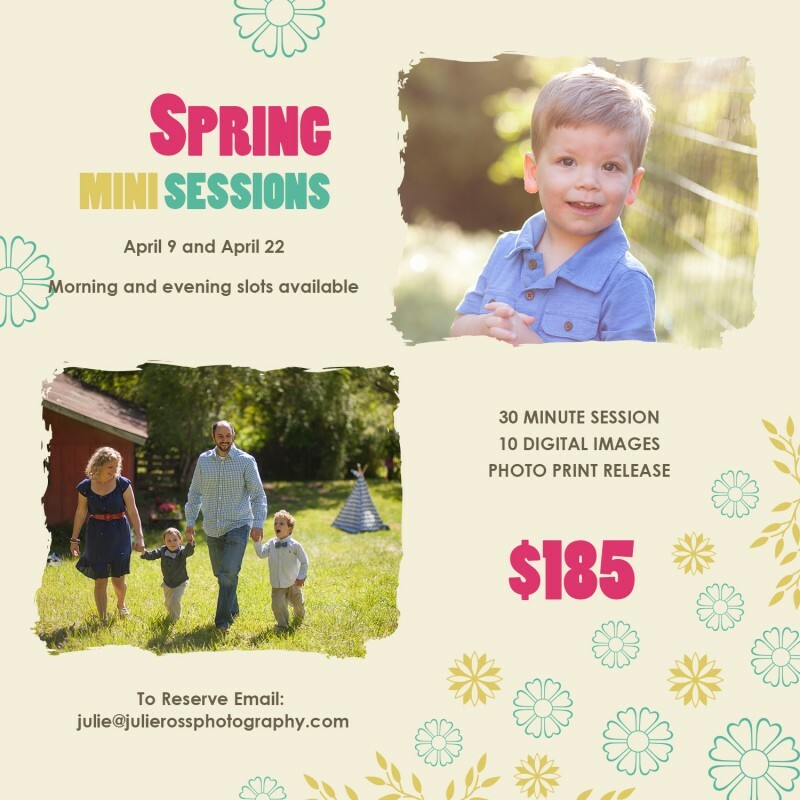 © 2019 Julie Ross Photography-Woodstock GA Newborn, Child, Family Photographer|ProPhoto theme | Designed by That's Kinda Cool!